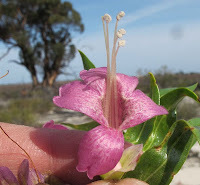 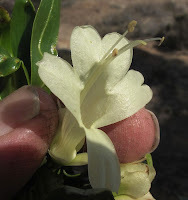 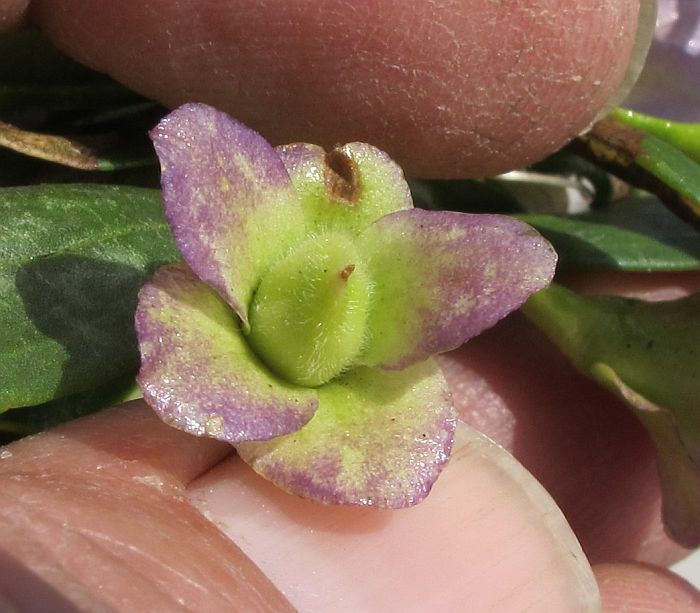 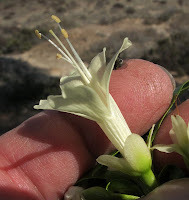 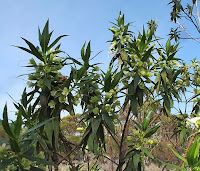 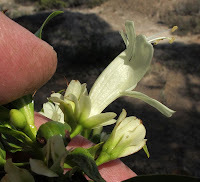 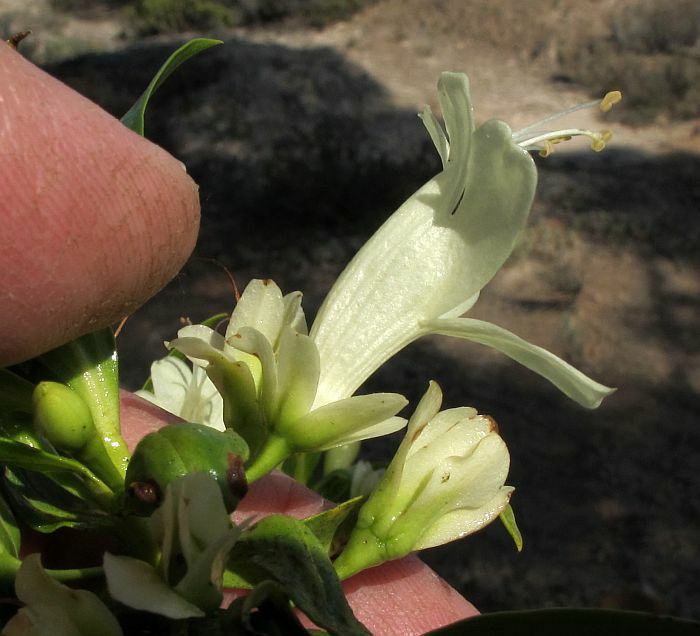 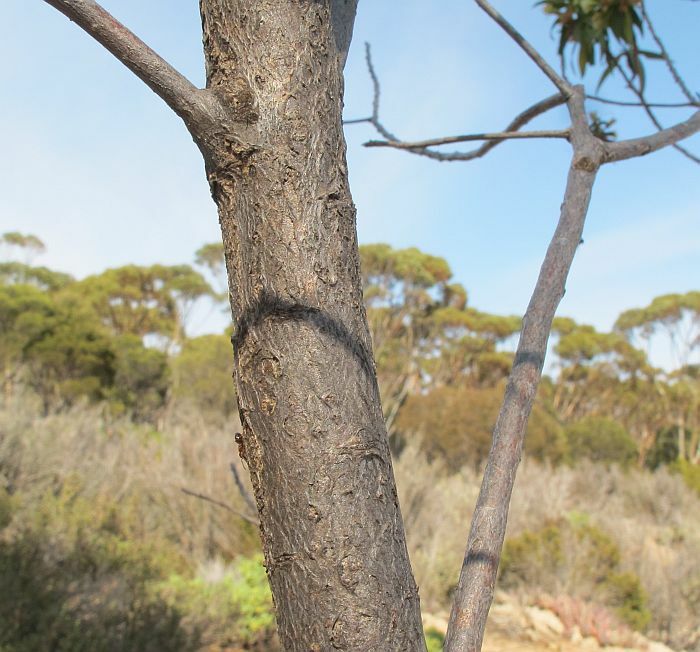 This West Australian Eremophila was named by Dr RJ Chinnock in his 2007 publication (book) called ‘Eremophila and Allied Genera,’ and subtitled A Monograph of the Myoporaceae, which has now (in WA) been reclassified into the Scrophulariaceae family. 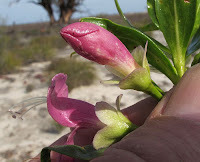 Eremophila lucida has to date only been recorded from the Norseman region 185 km (115 miles) north of Esperance, plus near Lake Cronin, which coincidently is also 185 km away, but WSW of Norseman. Being so restricted in distribution, this species has a Priority One Conservation Code rating, which means it is known from less than five populations that are under threat and in urgent need of further survey. The above were photographed at Lake Tay, which is roughly half way between Lake Cronin and Norseman, but around 90 km (55 miles) further south, so although a new location, it is within an expected distribution zone. 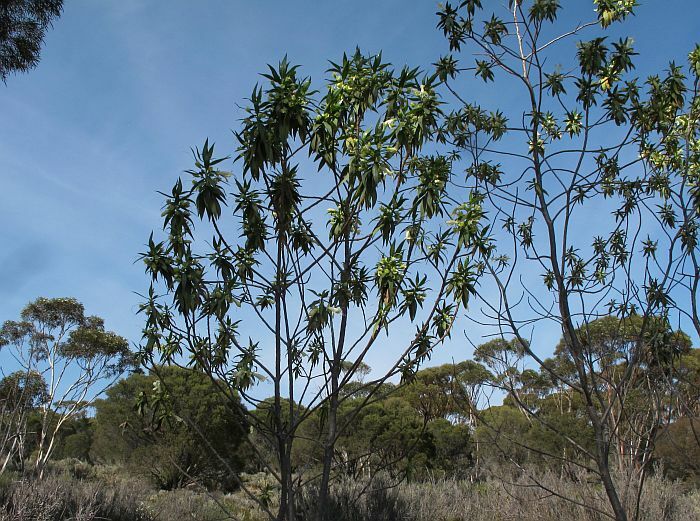 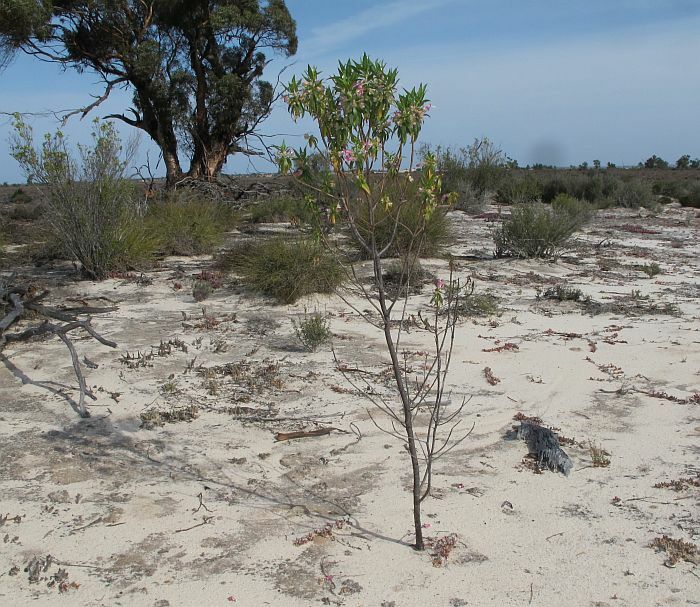 Further north there is a very large saltlake complex of several hundred square kilometres, which could also provid habitat for this plant, but access is very difficult and consequently has probably not been investigated botanically. 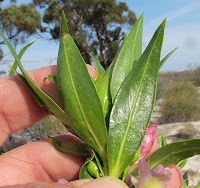 The above plants were part of only a handful growing 2-300 metres/yards apart and just before the Samphire zone of a southern inlet off the main playa lake, which is on the other side of a low sand dune about 400 metres/yards distant. 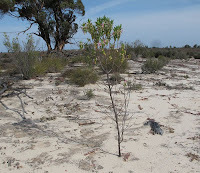 The soil is a coarse sandy loam mixed with wind-blown clay from the lake. Two flower color forms were present, one being cream/yellow and the other a pink/red and both with a corolla (flower) length of 3 cm (1.25”). 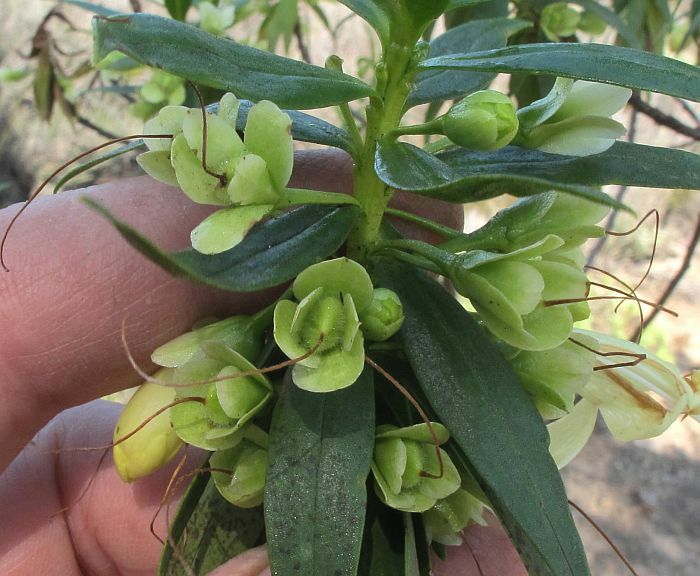 Officially, they are recorded blooming during October (same as my sighting), but going on the state of the plants, I would say they would likely flower from September to November. Eremophila lucida is called the Shining Poverty Bush, as the leaves are very shiny due to their viscid (slightly sticky) nature. 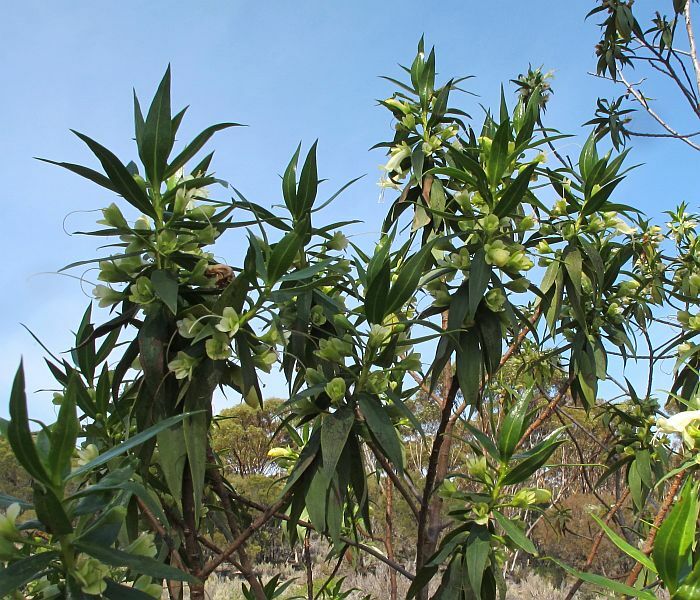 The plants grow to 2 metres (little over 6’) and due to the harsh hot/dry environment, drop their lower leaves during summer to leave their foliage on the upper branches, although in a less extreme habitat they would probably be more bushy and quite ornamental.